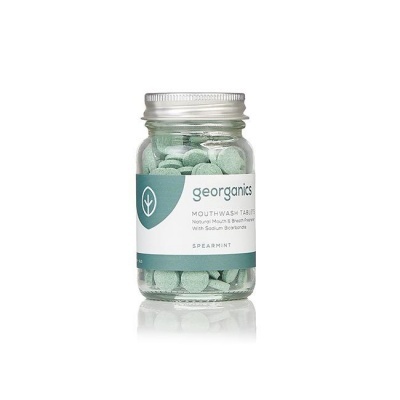 Natural mouthwash tablets, non-toxic and leave your mouth feeling fresh and clean, without the use of plastic bottles! These mouthwash tablets are vegan and contain no fluoride, glycerin and SLS. 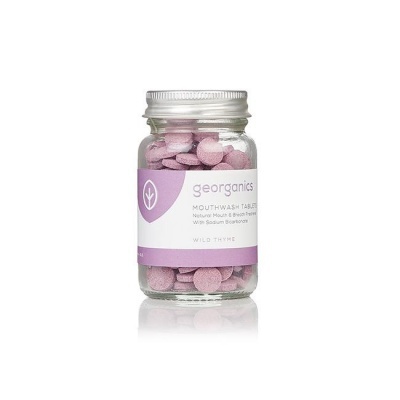 They help to restore a healthy pH balance to your mouth, maintain good oral health and freshen your breath. The tablets are perfect for travelling as they are a more eco-friendly alternative to traditional mouthwashes avoiding the unnecessary transportation of water. Sodium Bicarbonate^, Tartaric Acid^, Sodium Benzoate^, Natural Colourings*^, Menthol^, Thymol^, Mentha Spicata Herb Oil*^. *Organic, ^Food Grade. Sodium Bicarbonate^, Tartaric Acid^, Sodium Benzoate^, Natural Colourings*^, Menthol^, Thymol^, Thymus Vulgaris Oil*^. *Organic, ^Food Grade.